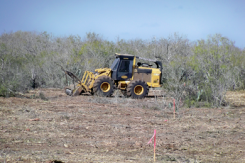 We provide a custom low-cost alternative for environmentally sound land clearing operations. 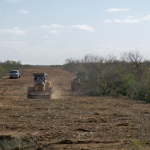 When you need experts, call Whitehead Environmental Land Clearing. 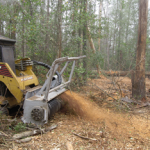 To provide our clients with unparalleled service and the highest quality of forest-mulching and land clearing services, with high-quality equipment and personnel. 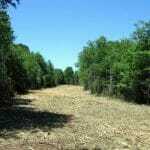 Here at Whitehead Environmental Land Clearing we specialize in forestry-mulching, a method of land clearing that leaves as little damage to the top soil and desired trees that you want to keep, as possible. 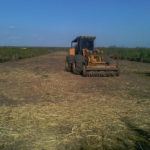 There’s no need for burning or haul off piles, the end resulting mulch is spread out. 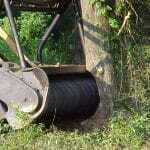 There are a lot of different types of mulching equipment available. Their production rate can vary greatly, combine that with the experience level of the operator and you can have a 2 to 1 or 3 to 1 difference in daily production. Our equipment is the most up to date and most productive available. Combined with operators who have thousands of hours running this type of equipment since 2005. 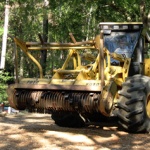 Forestry mulching can be dangerous work so experienced operators can be the difference between a safe job or an unsafe job. 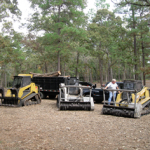 We are proud to say we have had no accidents since we started forestry mulching in 2005. 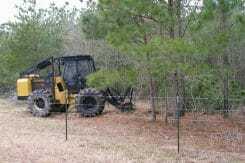 We want to thank you for doing such a great job clearing our 2 acre lot. 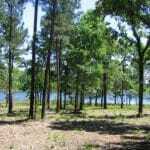 It was so overgrown, but we knew that you all were the professionals we wanted to do the job. You didn’t mind visiting us so that we could meet you & walk what we could of the property, you quoted us a fair price, you were there early & ready to go to work everyday, your equipment was maintained & ready to do the job, you were always ready to answer any questions we had, you worked with us on selecting the best trees & natural landscaping to keep, your equipment staging area was always kept neat & safe, & you all worked really hard right up until dark to clear our property like we needed so that we can see what we’ve got & prepare to build our waterfront home. We can’t begin to thank you & your folks for everything you’ve done. We’re so proud of the result. It was really a pleasure working with you. 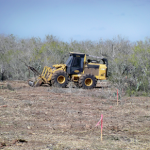 Whitehead Environmental Land Clearing was awesome; I had previously used a dozer on another piece of property and had a mess. 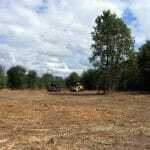 Whitehead Environmental Land Clearing was timely, organized and very professional. It turned out better than I even expected. I would highly recommend them to anyone. 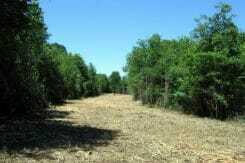 The best technique for pipeline right of way clearing, maintenance, widening, and reclamation. 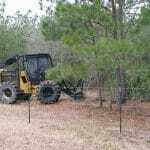 We specialize in underbrush mulching, which is the most eco-friendly way to dispose of brush and tree debris. If you're ready to get started on your next landscaping project, contact us here at Brogdon Landscaping & Design.